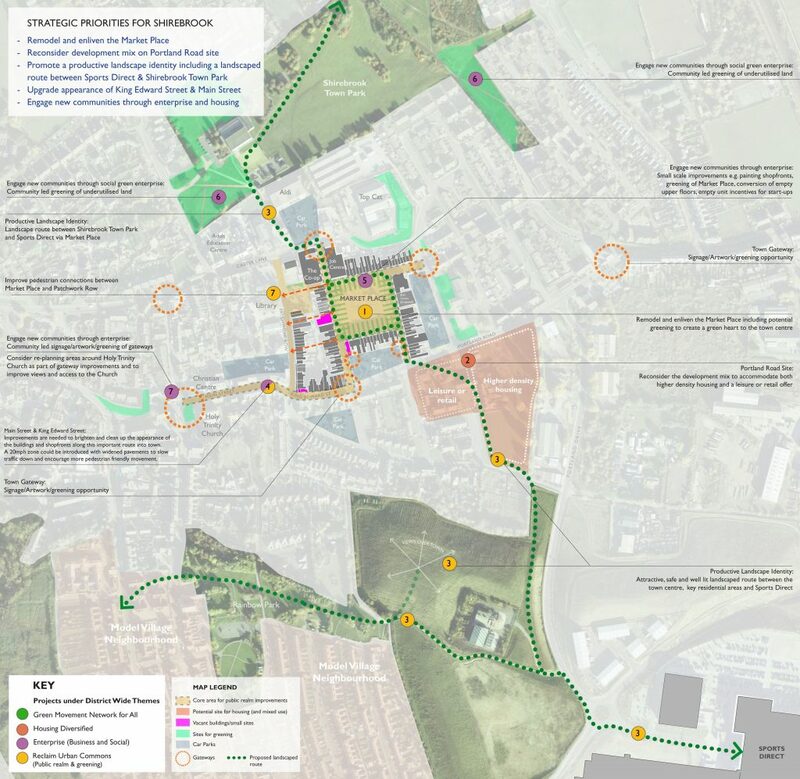 Working in collaboration with Camlin Lonsdale, Yvonne Deane Associates, Accend, JMP and GVA, Bauman Lyons were invited by Bolsover City Council to develop a community led regeneration framework for four main towns in the district. 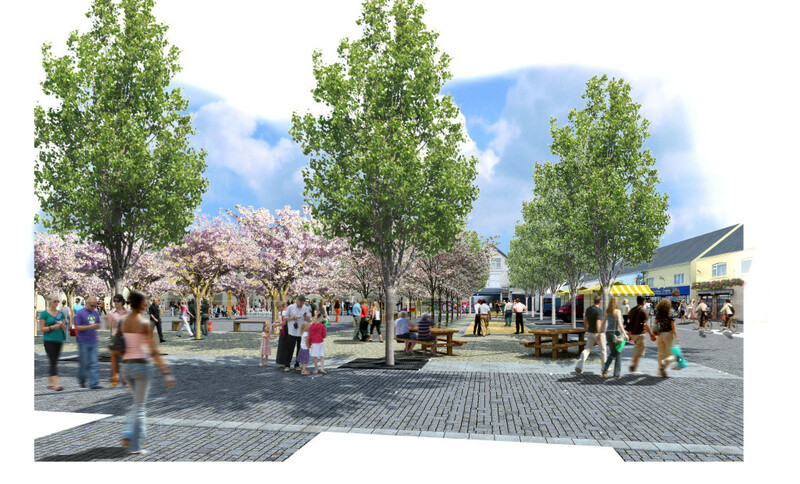 Sharing Bolsover looks forward to 2033, is guided by principles of placemaking and the ideas and priorities that were put forward by the communities that live and work in the districts. 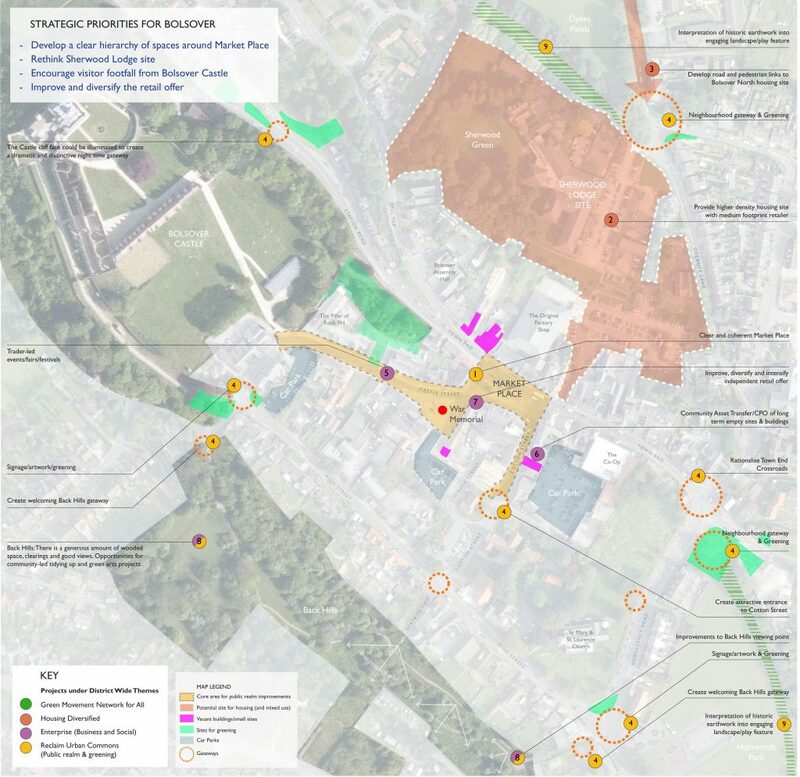 It aims to enhance the diverse character of the existing towns and villages matching the rapid pace of change with the receptiveness of citizens and physical characteristics of each discrete part of the District. 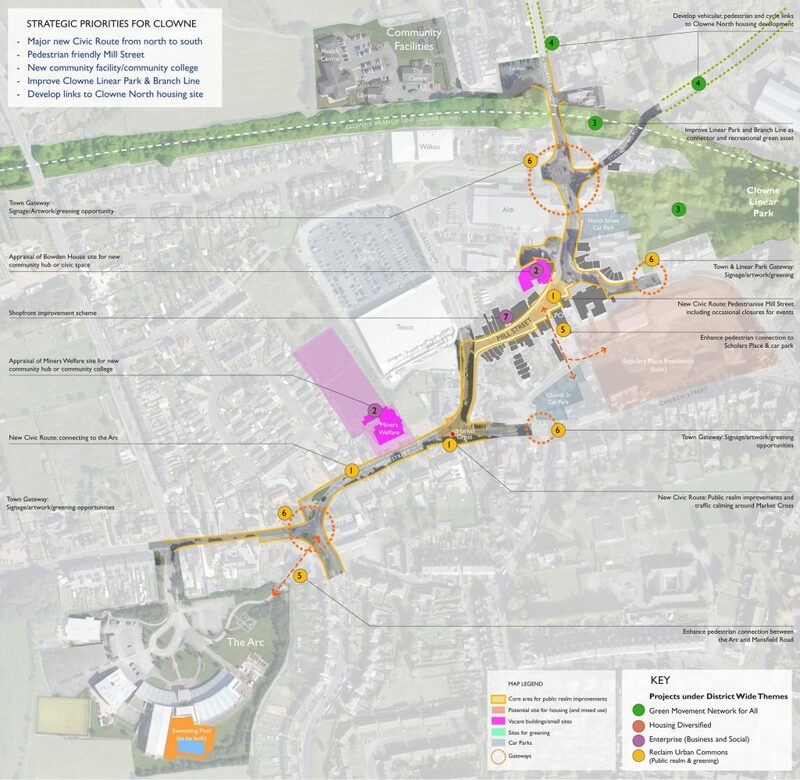 The shared vision is for a flexible framework that aims to enhanced offer in the four town centres of Clowne, Bolsover, Shirebrook and South Normanton through provision of high quality environment that will attract diversity of housing, retail and workspace to develop distinctive service centres. 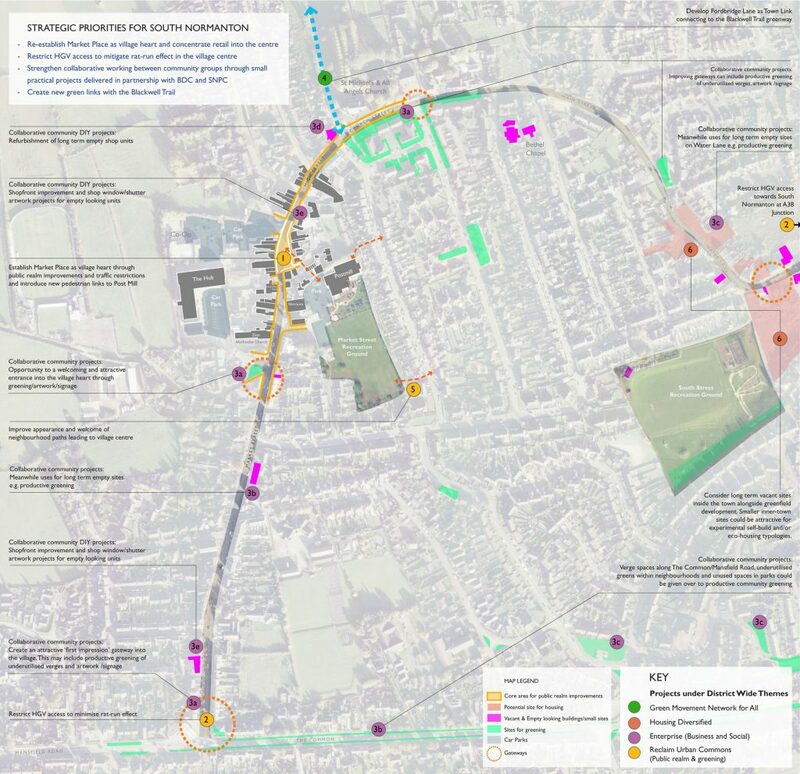 Proposed improvements to physical connectivity will enable villages to access and benefit from these investments and to contribute to rise of a vibrant local economy and of increasing sense of civic pride. This strategy will position the District as a sustainable, thriving and desirable place to live and work.